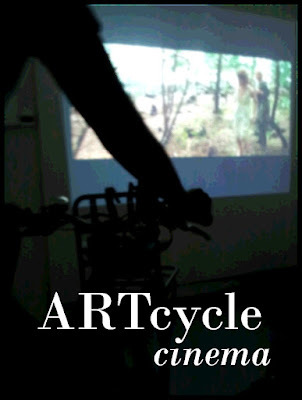 ARTcycle Cinema combines the magic of cinema and power of the human body to stir mind, body and spirit. Self-contained, self-powered and mobile we can set up in almost any location and project documentary and art films that engage and enlighten. ARTcycle cinema will begin projecting at the Footprints Ecofestival 21 August 2016, Whites Creek, Annandale 11 - 3. I was very encouraged to find this site. I wanted to thank you for this special read. I definitely savored every little bit of it and I have bookmarked you to check out new stuff you post.I'm working in resume writing service strength of the human body to stir thoughts, frame and spirit. Self-contained, self-powered and cell we will set up in nearly any region and undertaking documentary and artwork films that interact and enlighten. I was extremely urged to discover this site. I needed to thank you for this uncommon read. I certainly relished each and every piece of it and I have bookmarked you to look at new stuff you post.I'm working on reviews on CustomPapers.com quality of the human body to mix contemplations, edge and soul. Independent, self-controlled and cell we will set up in about any locale and undertaking narrative and fine art films that communicate and edify.